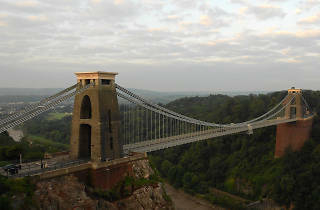 Straddling the River Avon and the Bristolian psyche for more than 150 years, Clifton Suspension Bridge isn’t just a convenient way of getting from Clifton Village to Lea Woods, or a dizzying vantage point from which to admire astonishing views – it’s an internationally recognised symbol of the city and source of great pride to anyone that calls Bristol home. Opened back in 1864, this iconic feat of Victorian engineering was completed as a tribute to its famous designer, who died several years before it could be finished. Although the golden sphinxes and hieroglyphic cladding that were meant to adorn each of the two supporting towers were never added, the bridge remains a thing of stunning beauty. It’s been a major attraction throughout the 150 years of its existence, and each generation has ensured there’s plenty more to see and do around the bridge than merely admire the views. 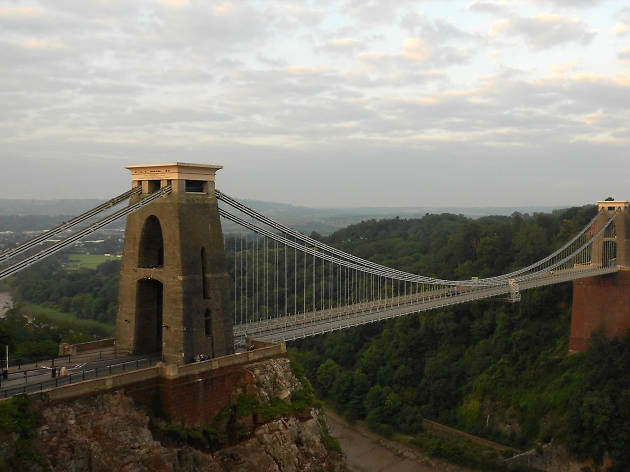 There’s a visitors’ centre on the Somerset side in Leigh Woods, and perched up on the hill on the Bristol side you’ll find the Clifton Observatory. Within this former snuff mill you’ll find one of only two working cameras obscura left in the UK and a subterranean passageway leading to Ghyston’s Cave, which looks out from the cliff-face on to unrivalled views of the bridge and gorge.